Marketing could be real challenging for small businesses, for they have to accomplish all their goals in actually a very restricted budget. They really have to act prudent and work smart whether they are making a marketing strategy or implementing them. They cannot invest their money randomly and that they actually have to be very targeted. In such situation digital marketing helps them to a great extent, for it is not only cost effective but helps them accomplish all their goals such as reaching to their target market, monitor, measure and optimize their marketing campaigns keeping a check on the waste of money that happens, calculate ROI( return on investment) and so on. Let’s go ahead and look at a few data generated in a survey that was conducted recently and see how small businesses are employing digital marketing to grow their business in a shoe string budget. 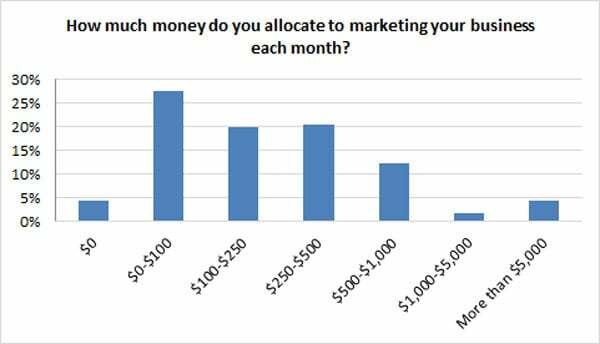 • The average spend on marketing by SMBs is $400/month. • 32% of SMBs are spending less than $100/month on marketing their businesses. • Just 6% spend more than $1,000/month. • 24% of SMBs spend less than 10% of their marketing budget on digital marketing. 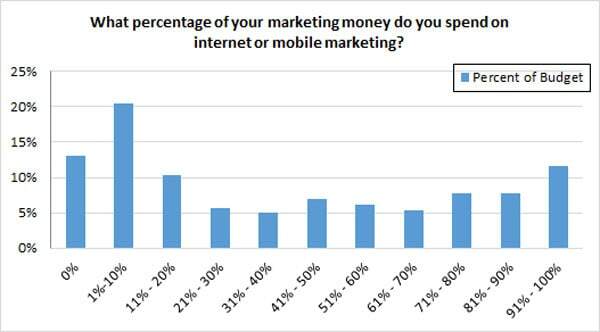 • 28% spend more than 70% of their marketing budget on digital marketing. • SMBs spend 46% of their marketing budget on digital marketing on average. 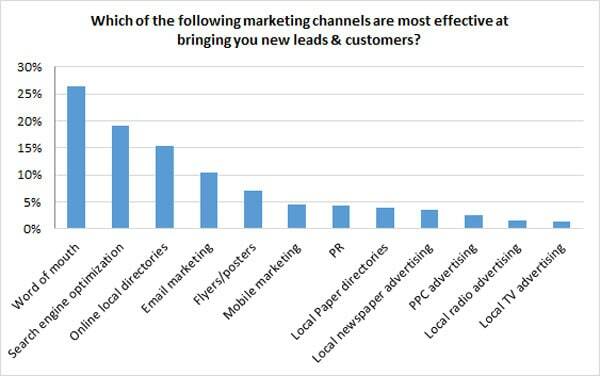 • 27% say that Word of Mouth is most effective channel. 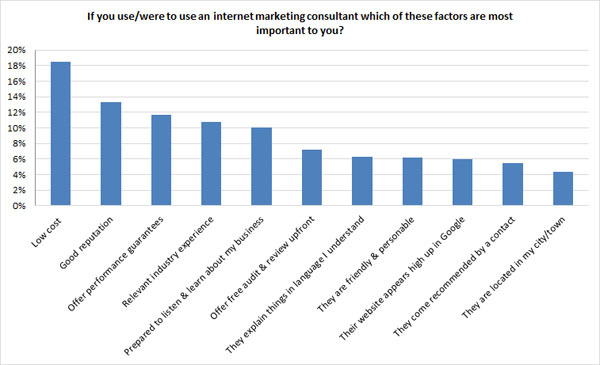 • 19% say SEO is a highly effective channel. • Only 3% say that PPC is effective lead generator. 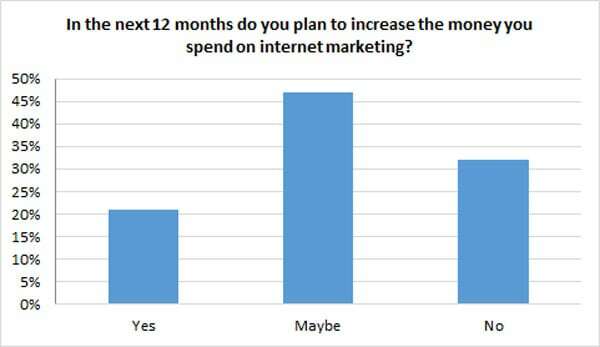 • 21% of SMBs said they do plan to increase spending. • 32% said they will not increase spending. • 47% remain unsure of their plans for next 12 months. • 32% of SMBs are contacted every day by a search agency. 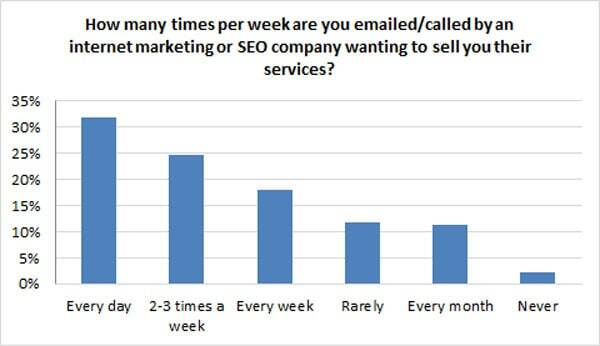 • 75% of SMBs are contacted at least 1 time per week by a search agency. 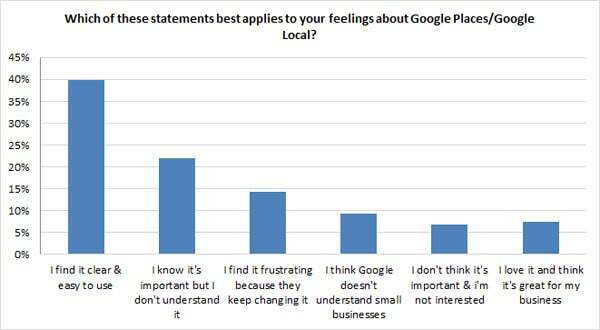 • 40% of SMBs say that Google Places/Local is clear and easy to use. 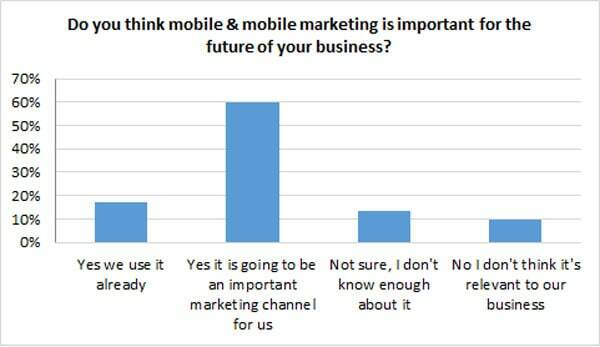 • 22% of SMBs know it is important but do not understand it. • 9% of SMBs do not think Google understands small businesses. • 7% of SMBs do not believe it is important. • 14% of SMBs find it frustrating due to constant changes. 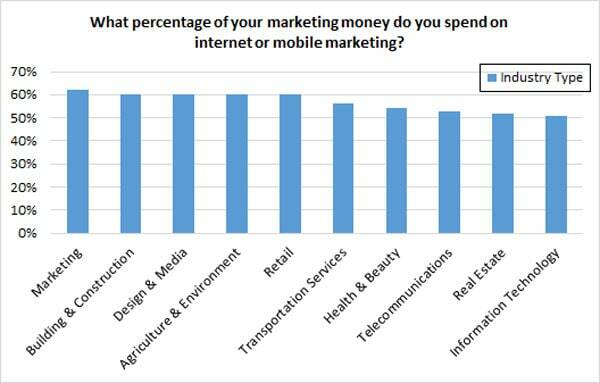 So, this was a data of last one year as to how small businesses are shifting their budget away from traditional marketing to digital marketing for their business growth in a limited budget. If you talk about same data of a decade ago, you will find that numbers were not so big when it came to allocating budget to digital marketing. But, things have changed drastically, especially in last few years. Besides the way businesses are getting benefitted by digital marketing, the rest of the space will soon be swathed by digital marketing in years to come.